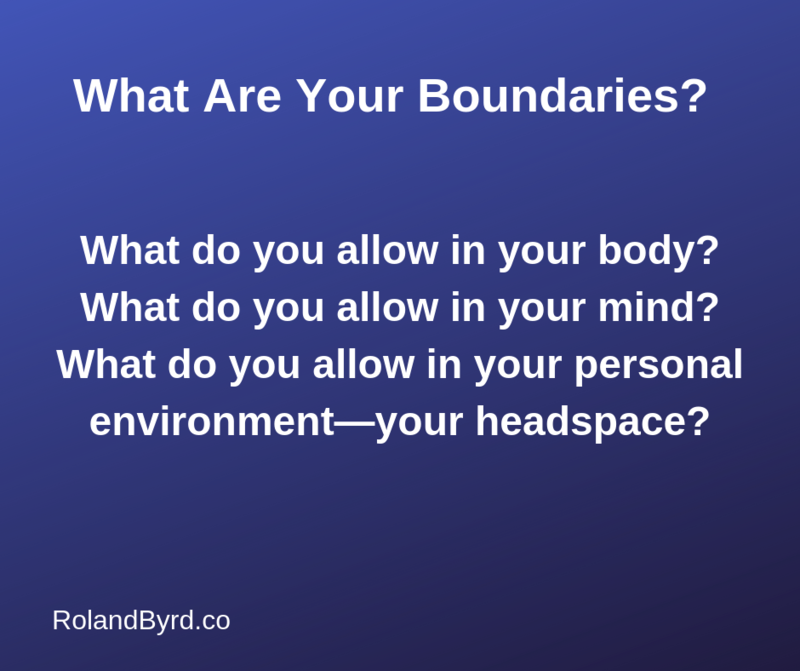 What Are Healthy Boundaries and Why Do We Need Them? Boundaries help us to maintain positive emotional states. If we know that there’s something that were unwilling to do, unwilling to be a party of, or unwilling to allow someone else to do in relation to us, then having clearly defined boundaries helps us stay better emotional states. You can choose love—we talked about that in an earlier video—you can choose love, you can be forgiving, and you can still have healthy boundaries. If something like that’s going on in your life, you can set appropriate boundaries and say, “I refuse to accept that behavior.” And the person who’s doing the behavior, the person who’s being abusive, needs to get some sort of help! So, they can stop and learn their way past the behavior. Given enough desire and a true willingness to grow, people can learn their way out of all behaviors. No one is stuck in a behavior. Regardless of what popular culture might tell you, people can change their behaviors. It happens all the time. For the changes to be permanent, they’ve got to come from deep within the person. Lasting change must be from the inside out. If someone stops doing something and they say, “Oh, I’m just gonna stop it.” And they stop, without doing anything to learn their way through it, to grow past it, and truly internalize the changes, then the change will most likely be temporary. They need to go deep inside, change who they are at their core, and learn their way through, past, beyond, the behavior. Remember: Set boundaries. Never accept any form of abuse. You must have absolutely no tolerance of abuse! What you watch. What you read. What you listen to. Essentially, what you’re filling your head with because the seeds you plant in your mind today grow the thoughts you have tomorrow. Make sure the things you feed your mind support where you want to be in life. 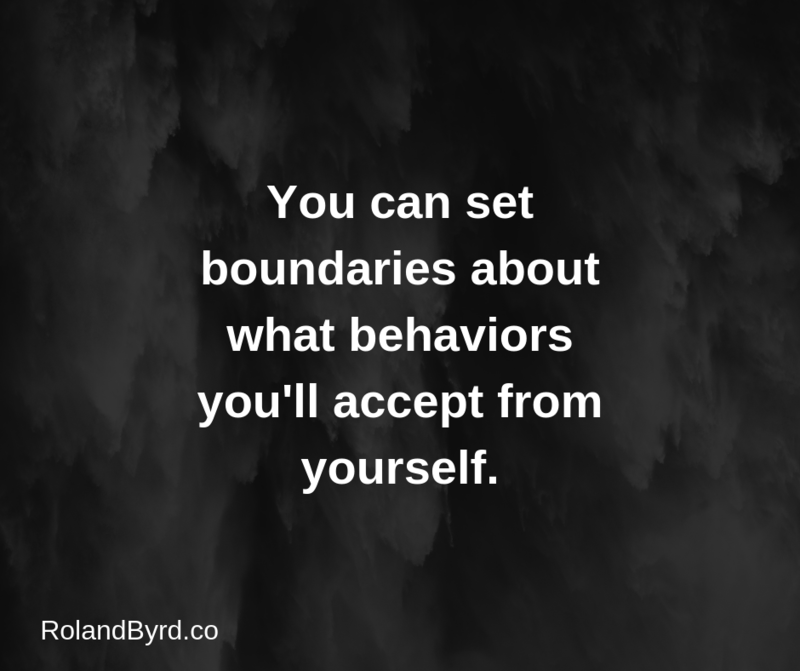 You can also set boundaries about what behaviors you’ll accept from yourself. We talked about that earlier. What behaviors will you accept from yourself? Are you willing to accept laziness? Are you willing to accept yourself sitting around being unproductive? Whatever it is, it’s okay to take care of yourself. I highly recommend you take care of yourself. When I mention being lazy and unproductive, I’m talking about the individual who does things like, sitting down and playing video games for 12 hours a day, or watching hours and hours of videos or movies, etc. Those might be fun, but they’re in no way productive. Those behaviors fail to improve us as individuals. There’s nothing healthy about those patterns. 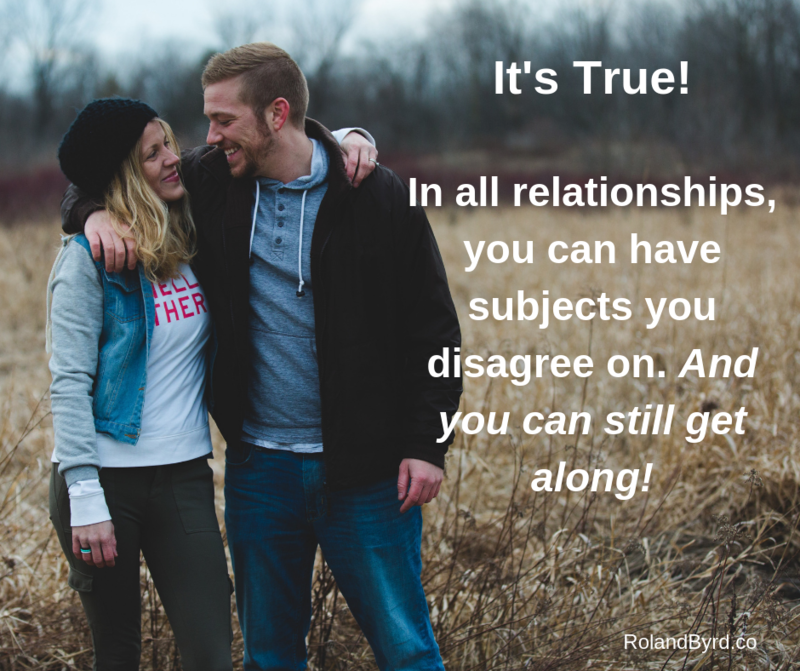 In all relationships, you can have subjects you disagree on and you can still get along. The point is; it’s okay to disagree on things. If the things you’re disagreeing on are issues, that in the grand scheme of things, are really not that big of a deal or are really unimportant overall, then you can agree to stop talking about those things. And focus on the good things instead. Focus on the things you agree on. If the thing you disagree about is a big deal, then perhaps it’s time to learn how to negotiate with your partner. You can choose what type of people you’ll be around. That’s a great boundary to set. There’s really nothing good that ever comes out of complaining. It’s a downward spiraling behavior, like a train-wreck it quickly flies off the rails. Boundaries can be choosing the types of people you’ll be around. Are you around positive, empowering people, supportive people? People who share your vision, who share your dreams who believe in you, who want to see you succeed, those are great people to be around! Negative people, who want to tear you down, who just want to complain… Set a boundary. Stay away from them. That’s an important boundary for you. Another boundary is choosing what activities you engage in. Some people are perfectly fine going out and partying. Okay, great! Some of us disagree with that on a personal level. And that’s okay too. It’s our choice. So, whatever your comfort zone is, set the appropriate boundary for you. Another major boundary is deciding what substances you’ll allow in your body. There are drugs that are legal… Great! If you’re cool with doing that to your body—whatever current pseudo-science tells you about it—then go ahead do it to your body. But if you are of a mindset that you want to be 100% in control of your health, that you want to have a clear mind, and that you want to avoid addictions, then stay away from that behavior. Whatever your thoughts are on drugs, alcohol, or other substances… First I highly recommend staying on the side of the fence legally. That’s just a good place to be. And make the decision, what’ll you’ll allow in your body, in advance. Set that boundary. When you’ve already decided what your boundary is, it’s much easier to honor it. I personally never drink. I Haven’t had a drop of alcohol in over 27 years. That’s my choice. I’m totally happy with that choice. There are people who go out and drink. Cool! That’s good for them. That’s okay. That’s a lifestyle choice that works for them. If you’re okay drinking alcohol, then go ahead, have your drinks when you want. I choose to stay away from it. That’s my boundary. Do You Know Your Boundaries? What are your boundaries? If you haven’t made the decision yet; What things do you choose to you allow in your body? What do you allow in your mind? What do you allow in your personal environment—or what I call your headspace? Those are all things that have a massive impact on your mindset. And your mindset, as you know, is what allows you to be in the place where you get the results you want out of life! I’m highly recommend that you make a list today of your major life boundaries. And pay attention to it. Start living by it! Enforce your boundaries. And always remember: You Are The Master of Your Destiny!